St. Francis Herb Farm herbs are Certified Organic/Organic/Wildcrafted. 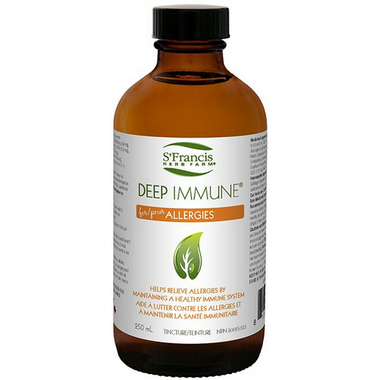 I have tried all kinds of supplements and herbs for my severe allergies but this is the only thing that worked and it works almost immediately to relieve congestion and itchy eyes. I have been able to get off pharmaceuticals like Claritin since I started taking this tincture! Claritin made my allergies worse somehow. Using this tincture on its own has saved me from allergies while working on a farm this year! This is the product you take when you have severe allergies and your just can't function. It works quick and you feel great all day.